No need to go into hiding until your hair grows back! Sometimes, you walk into the salon with high hopes, but step out full of regret. While poor hair cutting skills may be a major factor, you can’t solely blame the stylist for the unfortunate situation. Miscommunication and unrealistic expectations also result in haircut nightmares. The good news? Awful chops are temporary. Remember, hair grows back! 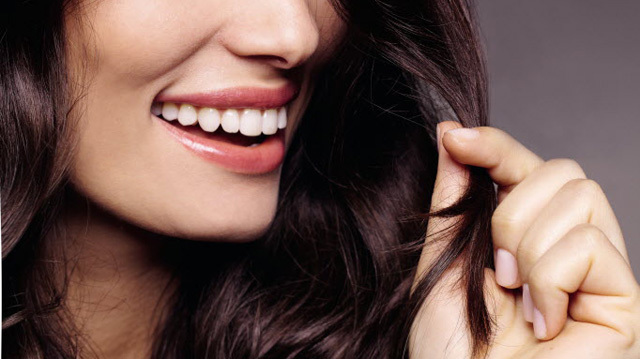 But while you’re waiting for your long locks to make a comeback, try these hair styling hacks. We promise, they’ll make dealing with a bad cut more bearable. Use hair candies to distract everyone from a botched cut. Be creative with hair tools. A few twists and curls with a curling or a flat iron can transform the shape of your tresses. Try kneading a dollop of mousse to your crown to add fullness; rub on texturizing paste on the ends for an “I woke up like this” look; massage a straightening serum to tame frizz and hide unwanted layers. Get long hair instantly with hair extensions. These are great temporary solutions until your hair grows back! Here’s a video that teaches how to seamlessly blend short hair with clip-on extensions. For more ways to deal with a haircut you hate, checkout femalenetwork.com!